Although I certainly have my preferences when it comes to comics and I tend to focus on particular creators and styles and genres that I like, I do try make an ongoing attempt to gain as broad an appreciation of comics as possible. So while I picked up the Kamandi Archives because I really like Jack Kirby, I got the Justice League Archives so I had a better understanding of Kirby and Stan Lee were reacting to when Martin Goodman told them to come up with their own superhero team. 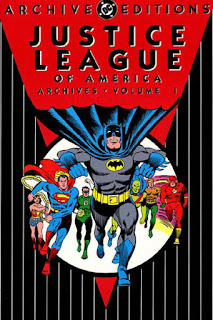 Consequently, I have a number of comics and graphic novels that I don't necessarily enjoy for their own sake, but appreciate them from a historical perspective and find them sometimes useful for research. I get it. Comics were basically a commodity item, and publishers were trying to churn out as many as they could. They hired anyone who could string two sentences together to write them, anyone who'd ever sat at a drafting table to draw them, and they had to crank out whole issues in sometimes as little as a single weekend! Making comics wasn't a craft, it was a job. It was just a notch above putting bolts on a car in an assembly line. That's why we have differentiated artists, inkers, colorists, etc. -- that was Will Eisner's idea to streamline comics' production and make it more like an assembly line. But that also means the stories aren't as good as they could be. Which maybe wasn't so bad if you were eleven and spent a dime for a single issue every other month. There was enough of a gap between readings that you didn't notice that Batman was being drawn in the same eight or ten poses every issue. Or that Daredevil was repeating the same handful of plots. Or that Nelvana hadn't actually done anything heroic herself in a dozen issues. 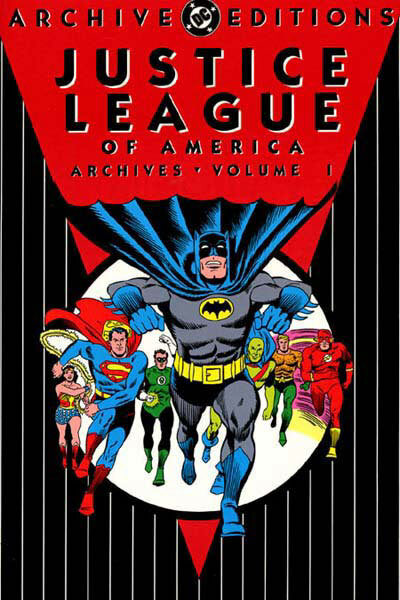 But reading them in a more condensed form, whether that's in a fancy Archive edition or on a series of microfiche or even copies of the original comics, that can be hard to wade through for extended periods. They can become a chore to push through. I don't know that I have a real point to this, other than to suggest, if you're reading through many of these GA books, I recommend having a number of bookmarks handy! I can't tell you how many of reprint books are only part-way read because I just had to put them away for a while. I agree with you on most Golden Age comics. Interestingly the two Archives you reference for this are Silver Age. I've learned to appreciate Golden Age storytelling. The stories are so thinly sketched out that I have to do a LOT of filling in the blanks between the panels, including imagining characters' motivations. I enjoy the exercise, but in VERY small doses. Can't read more than one story in a sitting. @VDP - Yeah, I wanted to reference some GA books there, but I honestly couldn't think of any that I got simply because I thought I'd enjoy them for their own sakes. Even most of my early Silver Age stuff is more reference/research than anything. I've found early stuff that I did ultimately enjoy, but that wasn't the point of my getting it originally. Golden Age Comics were written for 10 year olds. At the time, it was assumed as they outgrew those comics, they'd move on to Mad Magazine or to Heinlein, Del Rey et al, if not, y'know, mainstream literature. Making adventure comics too expensive and too complex for youngsters has simply choked off the supply of new readers. It has not created literature of any greater standing than pulp westerns or Harlequins. On -isms: "Must Be Nice"
On Business: Will This Work?